Dr Annuar delivers his speech at the Iban Methodist Church in Kemuyang. 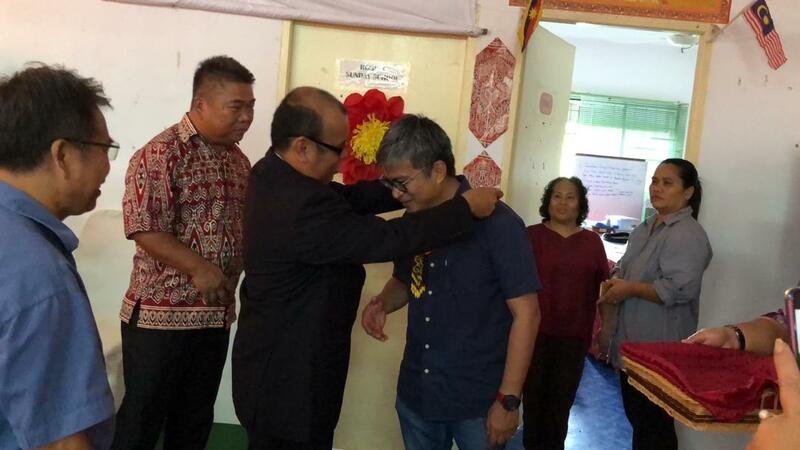 SIBU: Assistant Minister of Education and Technological Research Dr Annuar Rapaee wants to ensure that all worshippers, irrespective of their beliefs, have a place that is conducive to practising their faith. “Because of that, I don’t feel awkward to go to temples and churches. I am going there to render my service and nothing at all about propagating other religions or influencing them. “As YB (people’s elected representative), I have to be fair to all religions and races. 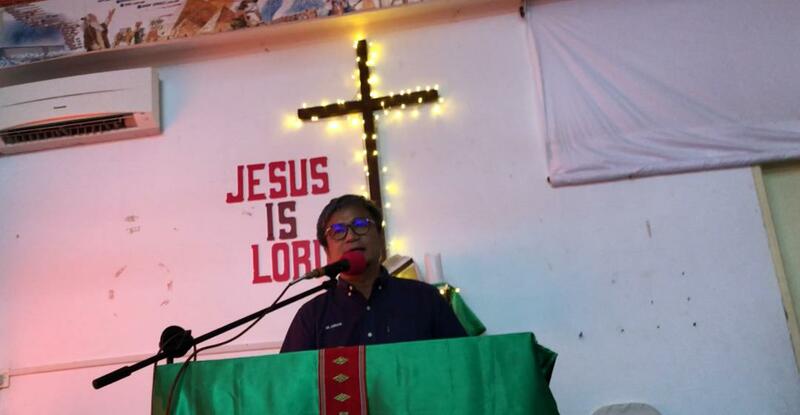 All have the rights to enjoy the fruit of development,” he told The Borneo Post when contacted yesterday, pertaining to his Facebook post about his visit to an Iban Methodist Church in Kemuyang near here on Sunday. Dr Annuar’s Nangka Service Centre contributed a unit of LCD projector and laptop computer to the church. While there, he said Pastor Joseph requested for him to deliver a speech. Dr Annuar, who is also Assistant Minister of Housing and Public Health, stressed that it is most important for Sarawak, being a melting pot for Malaysia, to preserve its religious harmony. “We must maintain our religious harmony and should not let others destroy this harmony. “And that is why we need to maintain unity and also decide our future on our own,” stressed the Nangka assemblyman. The visit to the Iban Methodist Church was just of one of the many instances where Dr Annuar ‘walked the talk’ when it comes to strengthening religious harmony among people of different beliefs. Last Saturday, he visited the Sibu Sri Maha Mariamman Temple here to hand over RM100,000 from Unit for Other Religions (Unifor) to the temple’s committee president Det-Sgt K Manogaran to help construct their new temple. Dr Annuar has also contributed RM300,000 from his Rural Transformation Programme (RTP) fund and RM100,000 from his Minor Rural Project (MRP) grant to help make construction of the new Sibu Sri Maha Mariamman Temple a reality. That aside, he also hosted the ‘Interfaith Raya’ gathering and made it an annual affair to gather people of different faiths here together for the festive celebration. Another brainchild of his to strengthen racial and religious harmony was the mass ‘buka puasa’ (break-of-fast) during Ramadan, which gathered thousands of people from all walks of life. Pastor Joseph (third left) presents a token of appreciation to Dr Annuar.